Our location at Uluru Ayers Rock. At Uluru we are based in the Kuniya car park on the southern face of Uluru. You can self drive to our location at Uluru Ayers Rock, which is a short 20km drive from the centre of the township of Yulara. You can purchase a park entry ticket at the entry station of the national park. 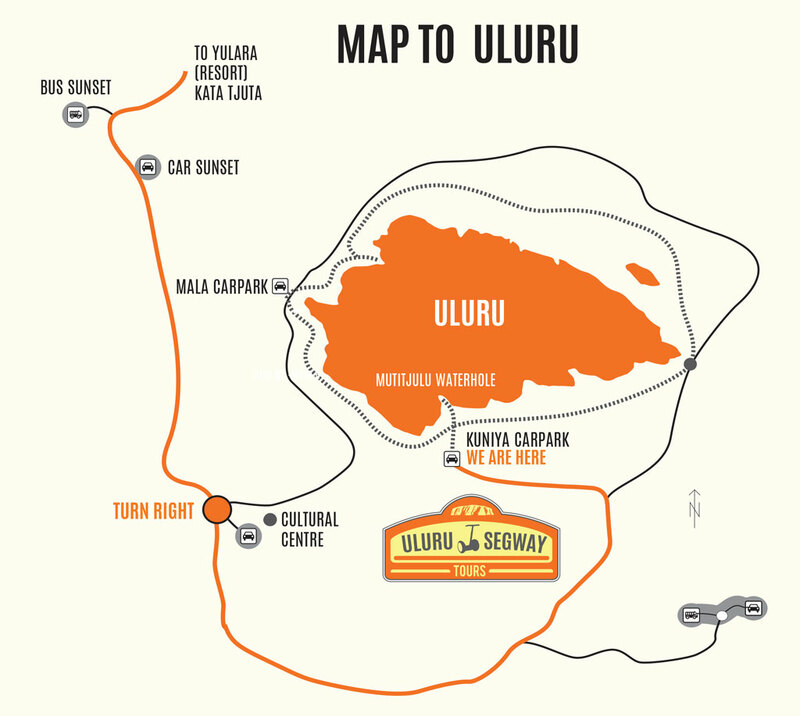 It takes approximately 30minutes to self drive to our location in the Kuniya Carpark at Uluru. To find us at our site base at Uluru, drive into the national park, drive past the sunset viewing area, at the round-a-bout turn right and follow the road and take the first left hand turn into the Kuniya carpark. Our location at Uluru Ayers Rock is at the back of the Kuniya carpark and very easy to find one your park. If you would like a downloadable map to help you drive to our site base, click here. The township of Yulara is approximately 450km from Alice Springs and 314km from Kings Canyon in the Northern Territory. If your driving to Yulara keep an eye out for cattle, camels, wild horses and dingos and wedge tailed eagles. 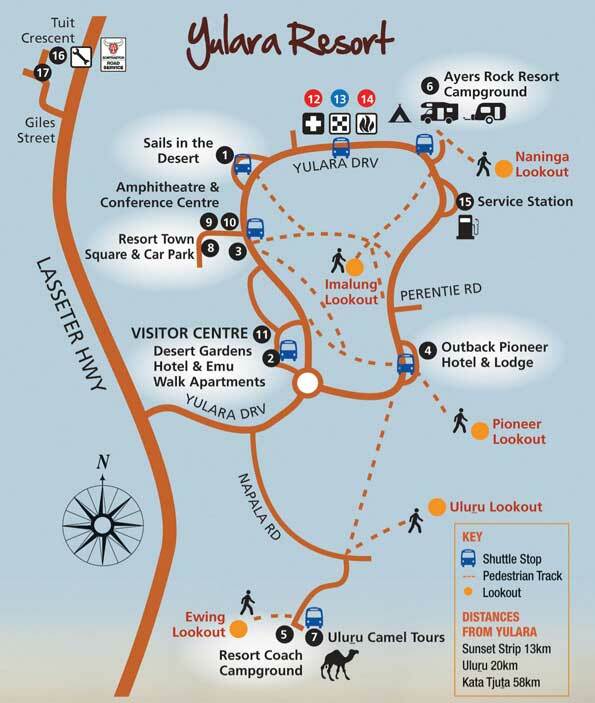 Located at Voyages Ayers Rock Resort, Yulara, is the gateway to Uluru-Kata Tjuta National Park. If you want to know more about accommodation within Yulara and it’s surrounds – click here. If you’d prefer to fly then drive, Jetstar and Virgin airlines fly to Ayers Rock Airport daily. You can fly Jetstar direct to and from Melbourne Tullamarie airport on Tuesday, Wednesday, Friday and Sunday. You can fly Qantas daily from Sydney to Ayers Rock Airport via Alice Springs. Fly direct with Qantas from Cairns and Alice Springs daily.